Melting a quarter may seem like an odd thing to do, and possibly even illegal. However, it is only illegal if you are melting it with a fraudulent intent. Melted quarters can be re-purposed into something sentimental. For example, if you have a lucky quarter that you want to wear, you can melt it and put it into a mold for a charm that you can wear. Melting any kind of metal is dangerous and requires extreme heat. Quarters are made of copper and nickel and need a heating point of 2647 degrees Fahrenheit to melt. Propane heats to 5252 degrees F and is sufficient for melting quarters. Set up a work area in a well-ventilated area with plenty of room. Have your supplies nearby and work on a fire-proof surface. Set the quarter in the ceramic bowl and put on your protective gear. Light the torch and aim it at the center of the quarter. Hold the flame there until the quarter liquefies. Quickly and carefully pour the liquid into a mold to cool. Set the melted quarter in the mold when it is getting soft and goopy. The quarter will take the shape of the mold as it hardens. Coinflantion: Is It Illegal to Melt U.S. Coins? How Much Is a 1964 Silver Half Dollar Worth? 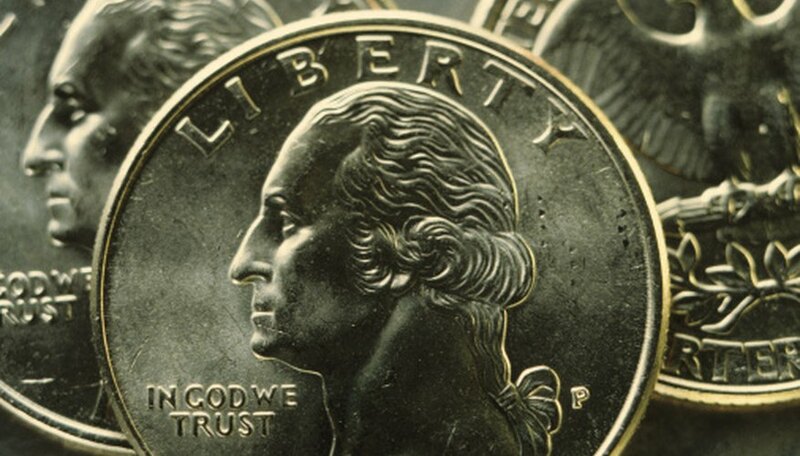 What Is the Value of Uncirculated State Quarters? Can You Tell the Difference Between a Silver Proof Coin & a Clad Proof Coin?